Considering the threat that these people pose to our values and identity, the call must be made. Australia: we need to ban rugby players. Not all of them, of course, as that would be discrimination (God forbid). Most of them are not a threat to us anyway, and are good law abiding citizens. It’s only a minority of players we really need to worry about. That small number of them who walk around with their big muscles and tattoos, terrorising our children, posing a major security risk and opposing the very values we stand for as Australians. 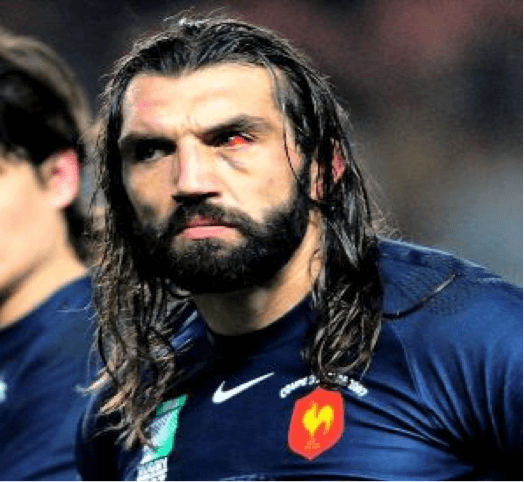 So what exactly is the problem with rugby players? Well, there are many. All you have to do is look at one of these guys to feel intimidated. I’m sure I speak for all Australians when I describe the immense fear I feel just walking past one of them in the supermarket. Not to mention the amount of fear they instil in our innocent little children – those poor children! Will someone please think of the children? I mean, why do rugby players need all that muscle anyway? And – although I’ve never personally spoken to one of them – I’m sure they only get all those tattoos to petrify people. Why else would somebody deliberately choose to cover themselves like that? They are a security risk. As a motorbike rider, I know that I am not allowed to enter a bank or a service station with my helmet on because I pose a risk in terms of identification, and I also have an unfair physical advantage with my helmet on. Obviously, the responsible thing to do then is to take my helmet off before entering such places. But this is where rugby players are the most dangerous; unlike me, they are unable to leave their dangerous items at the door. How can they justify walking into a bank with all that muscle, which would simply serve as body armour if security guards were to try and apprehend them? Not that any security guard would stop them, as that might be interpreted as ‘racism’ or ‘discrimination’. However, what is important here is that looking like a rugby player is fast emerging as the preferred disguise of bandits and ne’er-do-wells. They must be outlawed immediately. There is no doubt that huge muscles and scary tattoos have no place in a modern, open, secular society like Australia. Let’s be honest. How many of us would feel comfortable approaching a huge rugby player on the streets and having a normal conversation with him? Not many of us, I am sure. These are not the great values that we, as Australians, stand for. Those who come to this beautiful country of ours need to integrate into it, or go back to where they came from. If we went to their countries we would act according to their customs. They should show us the same respect when they come here. It is not really part of rugby, anyway. Although I am no expert on rugby, I have watched a game or two. I also once walked past a rugby player in a park, so I am surely in a position to be telling these rugby players the rules of their game. And I can tell you without a doubt that big muscles and hideous tattoos have nothing to do with the game of rugby, which does not condone such actions. Nowhere in their Rule Book does it mention the need to have super-sized muscles and a body covered in tattoos to be a righteous rugby player. Such characteristics are a product of the backward culture that some rugby players come from, and have no place in rugby teachings. The only people who claim them to be a part of rugby are those radicalised coaches who try to manipulate impressionable young players for their own perverted agendas. A ban on rugby players would therefore not be discrimination, as we are not banning rugby, nor any authentic part of it. Rather, we are only banning some practices that extreme fringes of the rugby world dangerously indulge in. The provocative choice of appearance of some rugby players in Australia is nothing more than a symbolic barrier and an affront to our Australian values. If we do not take a united stand against this sort of anti-social behaviour, we will surely lose our way of life to those who wish to live an oppressive and outdated lifestyle. We have no time to waste – we must ban rugby players now. After all, it is for their own good. Mohamad is a PhD Candidate in Criminology and Law at The University of Melbourne.